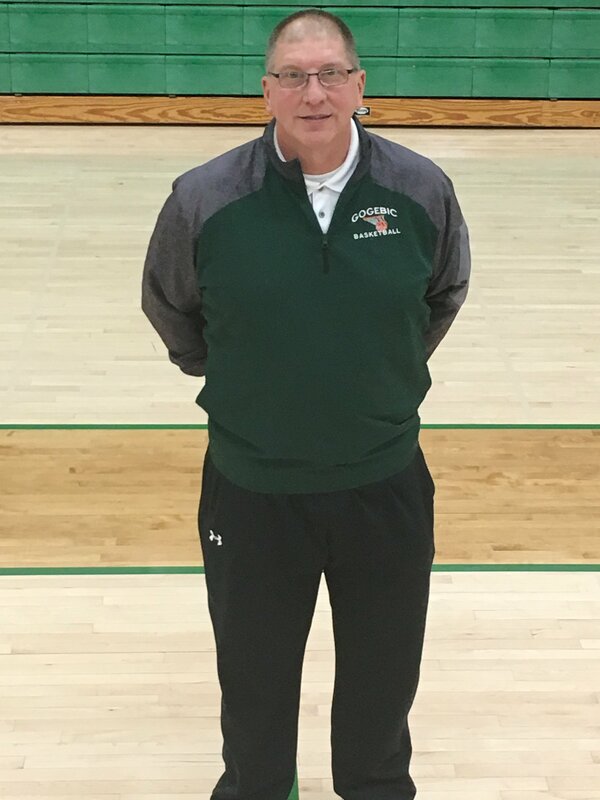 The 2018-19 season will be Coach Dennis Mackey's 31st year of coaching GCC basketball & his 11th at the helm of the GCC Samsons. Dennis coached women's basketball from 1988-2007 & served as Athletic Director from 2006-2013. In the spring of 2007, Mackey changed coaching positions accepting the Samsons head coaching job. During his 19 seasons as GCC women's basketball coach, the Lady Samsons posted a 256-227 record while winning two Region XIII championships & advancing to the NJCAA National Tournament once (1995). During nine seasons with the men's team, Coach Mackey's Samsons have compiled a 151-115 record while winning the Region XIII Championships in 2010-11 & 2012-13. Dennis is a graduate of Ewen-Trout Creek High School where he lettered four years in varsity basketball under Coach Tom Caudill. Following high school, he attended GCC and played basketball for the Samsons under Coach Deke Routheaux in 1982-83 & 1983-84. Academically, Dennis earned an Associate's Degree in Business from GCC, a Bachelor's of Science Degree in Business Administration from NMU, & an MBA degree through Lake Superior State University. As a business faculty member at GCC, Coach Mackey also teaches accounting and economics. Dennis and his wife Andrea reside in Ironwood. They have three children - Caitlin, Jesse, & Adam and two granddaughters Nora Belle & Millie Jaye! Season outlook: "The Samsons return no players from last year's team so we'll have to learn on the fly. My main goals for this team include being competitive in every game we play while representing the team & college in a respectful manner. By season's end, I'd like our team playing well enough to contend for the Region XIII Championship."